This image was taken from the original toll gates at the southern end of the Bridge. 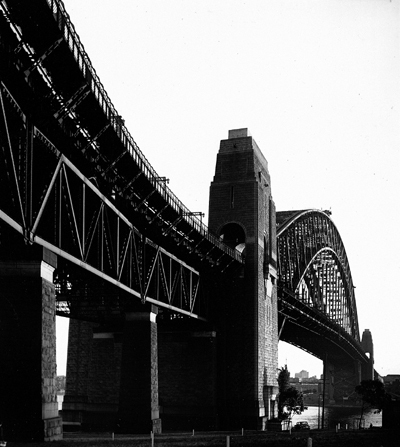 The eastern edge of the Bridge was still used by trams, later to be replaced by extra traffic lanes. Peak hour 1938 doesn’t compare with the current peak hours nor does the horse and cart travelling north.